I found this recipe in Leiths Simple Cookery… I just couldn’t resist a little italian flavoured tart (who could?). They are delicious and quick to make and easy enough even for me (OK I admit I didn’t understand some of it). Get your sheet of ready rolled puff pastry, I know it’s cheaper if you roll it yourself. But do I really take the risk? 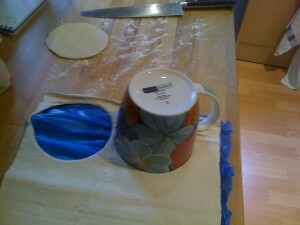 Get a large mug and cut out some reasonable sized circles from the pastry, then get a smaller mug and push it gently into the middle of your circles (try not to get it all the way through; more of a scoring), this will get the nice raised edged look when the pastry’s cooked. The inner circle needs to be about a centimetre in from the edge. 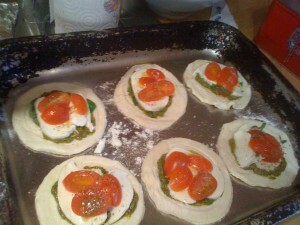 Put a large teaspoon of pesto (try out the MCC pesto) into the inner ring, cover the tray and put in the fridge. 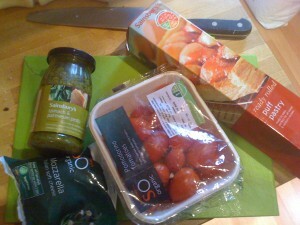 Not entirely sure why this is necessary but there you go (not the pesto bit; the fridge). While your waiting for the “pesto to dry” you can slice up the Mozzarella and tomatoes. 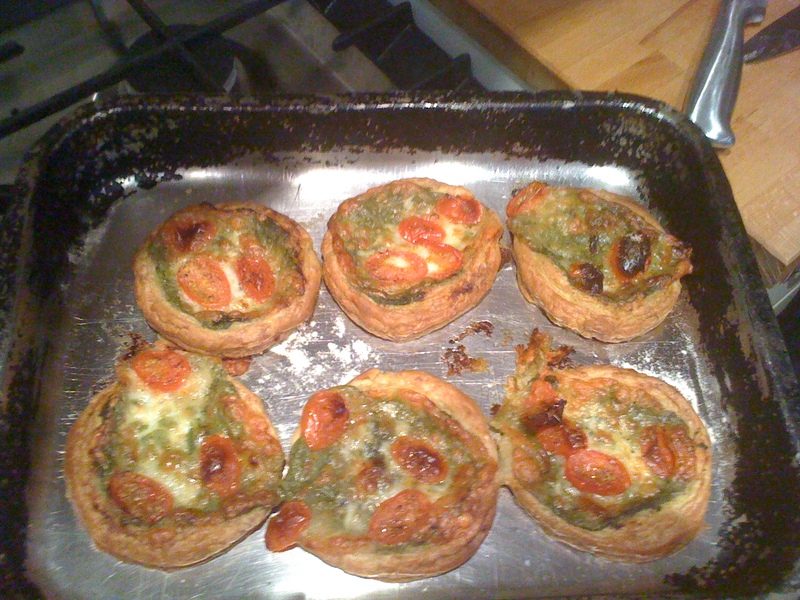 Fifteen minutes after putting the pesto pastry in the fridge take them out, cover the pesto with the mozzarella, tomato slices and drizzle with a little olive oil. 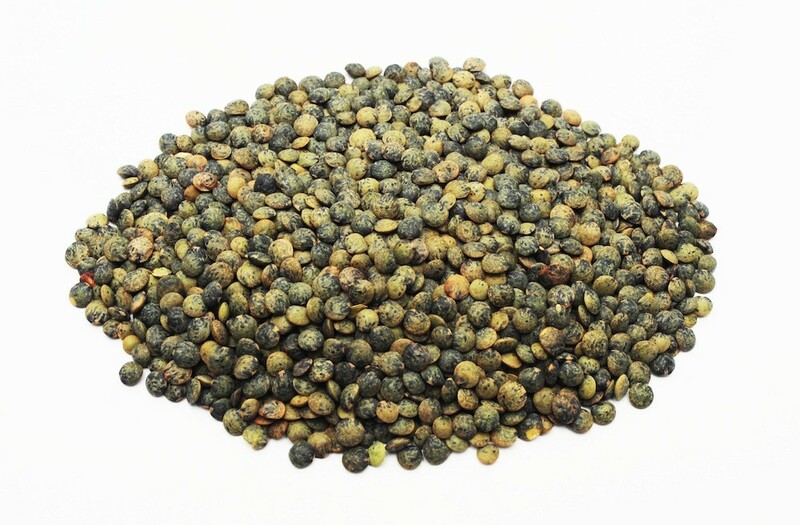 Add a pinch of salt and pepper and stick into an oven preheated to 200c. In twenty five minutes you’ll have some of the loveliest italian tarts you’ve ever tasted. Add a bit of shredded basil on top of the tomato to finish it off.